The medieval building (begun in 1459) has a distinctly Georgian atmosphere, although the old box-pews have been cut down to provide open benches. The furnishings reflect the wealth of its leading parishoners of that time, who were cloth merchants. A west gallery was erected in 1802 to accommodate the organ (one of the earliest in a Norwich parish church) by George Pike England of London. The instrument was blessed by the Bishop of Norwich during Easter Week at an opening that included a performance of Handel's Messiah. At this stage, it comprised a single manual. 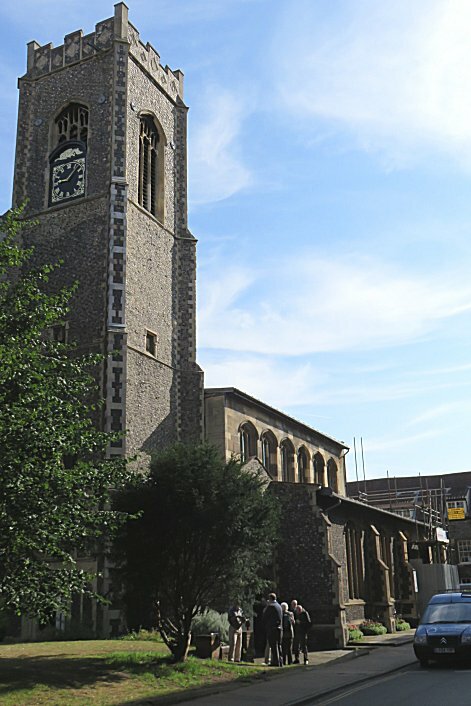 The Swell Organ was added in 1872 by the Norwich-based builder Mark Noble. 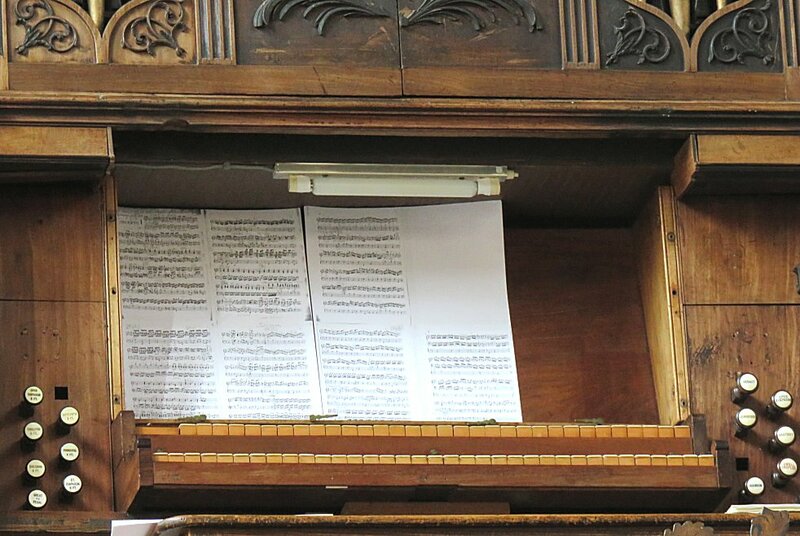 The instrument was moved to the North chancel aisle in 1880 and received attention from Norman & Beard in 1885. There it remained until the Diss firm of Boggis restored it to its original position in 1945 and added a short-compass Pedal Organ comprising a single Bourdon rank, completed by the addition of 12 extra pipes in 1991. 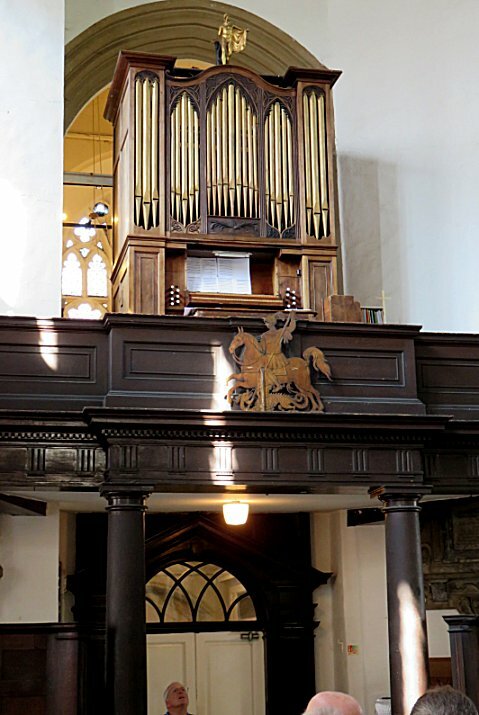 The Great Organ retains the old-style downward extension to GG (but with no GG#) that was a common feature of English organs before Pedal Organs became the norm. You can listen to this historic organ, played by Anne Page, as May16's Music of the Month.